Pisando Fuerte: About this blog! Daniela is already 6 years old and she suffers from Apert syndrome: she was born with her hands, feet and skull bones fused together. I can say that her birth drastically changed our lives, and not only because of the addition to our family, but because with her we now have to live from day toby day without plans whilst making sure we enjoy every single moment. When she was born I was deeply sad. I had dreamt of a cute and healthy baby, just as her two brothers. And of course full of health. 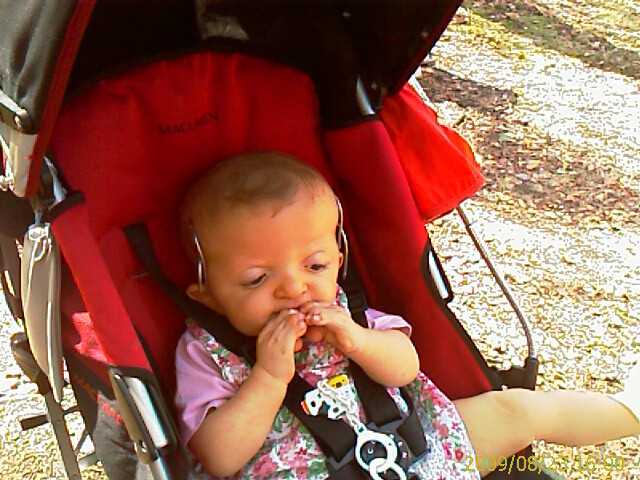 On the contrary we had to deal with strange ways of looks, Sometimes full of pity (we are still learning how to live with it, including her) as well as a long medical journeyway to look for solutions to her malformations. generosity is amazing (For example, I’ve never heard my daughter saying “this toy is mine!”). She has a long list of qualities we should all learn from. This is the reason of this blog. 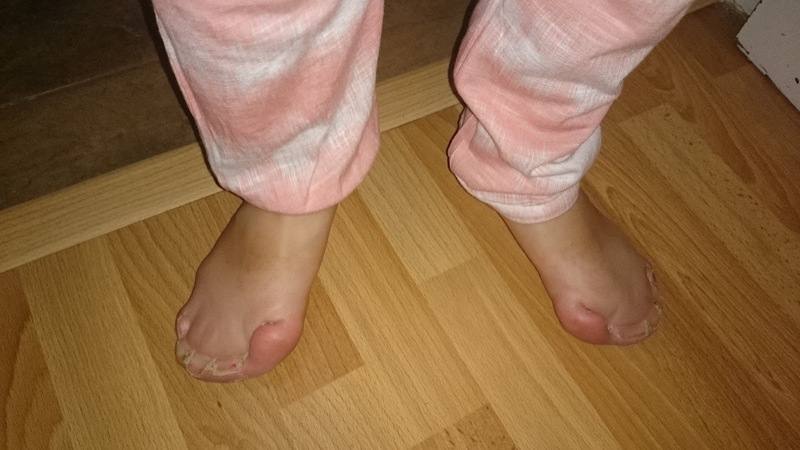 We need to raise money for an operation for Daniela’s feet (the ones you can see in the photo) which costs €40,.000€. This blog is to enable people to buy, sell, donate or and specially to contribute in anyway possible. a way or other. When you decide to have a baby and it is your second child, you would think you bear in mind all the risks. But, actually, it is not like that. You always think everything is going to be alright because you want so much for everything to be perfect and for nothing to go wrong. September 20th, 2008: A caesarian operation is scheduled because Daniela is in a breech position. It was my second caesarian but I felt like there was something wrong, especially during the last few months of the pregnancy. For starters, I wasn’t given a copy of the sonograms. Then a strange incident occured when my doctor went on holiday. The replacement doctor reacted in an odd manner when she saw the images of the final sonogram. She said nothing, other than that she would talk to my doctor. Later on, my beloved Dr. Madueño did not see me, instead sending his assistant to confirm the date for the delivery. I always thought that everything was going to be okay, because that is what I wanted to believe. 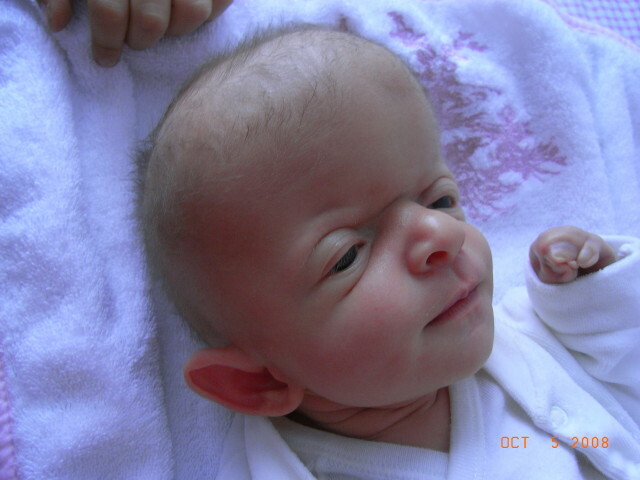 I later discovered that Apert syndrome is developed in the fifth month of pregnancy. So, we are in the delivery room. We are ready to welcome our new precious baby. I notice there are more doctors present than for my first caesarian, and I feel a tension in the air. They put a sheet in front of my face to block the view, and unlike a regular delivery, my arms are attached to the legs. But I have blocked everything out, I can only think of my gorgeous baby girl about to be born. The doctors take Daniela away as soon as she’s born. I can’t see anything, I only see the midwife leave with a bundle in her arms. I start asking questions but nobody answers. I start to feel extremely anxious but I am told to calm down by the doctor because he can’t sew me up in that kind of state. Even with the epidural my body is shaking. Then it is the moment when they show me my little girl. She’s wrapped in a blanket so I could only see her eyes, nose and mouth. I am told there is deformity in the hands, but the face I was looking at did not appear normal either. At that point, I become angry, and I think they gave me a sedative amidst it all. I find a second to kiss that little, partially-covered face. I suddenly find myself in the middle of a nightmare, that has been going on for four months already, and I desperately want to wake up. Daniela is taken for tests. My husband sees many people come and go from the special care ward . Nobody is telling us anything. I can’t really say how many days this went on, because I was sedated the whole time. I think it was a couple of days after, when my doctor comes to my room and he talks about a possible Apert syndrom. From that momento on, the investigation begins to discover what that weird Word means. They talk about a possible blindness, deafness, multiple malformations, retardation, craniosynostosis, neuronal affectation, social rejection and thousands of things that I couldn’t even hear, because it hurt so much. I want to see my baby, but they don’t even give her to me to feed her. So I ask for a wheelchair so I can go near her myself and try to breastfeed her. Despite the fact that I can’t stop crying, I try to comfort her (or myself) for what she will have to live through and suffer in the future. A phrase that was always told to us, since we were Little, was “don’t think about the future”. The next step is the medical pilgrimage to treat her malformations. The head and hands are the biggest worries for the moment. Concerning the craniosynostosis (which is a premature closing of the fontanelles, narrowing the space for the brain) we luckily found “Asociación Apertcras” which sends us to “12 de Octubre Hospital”. 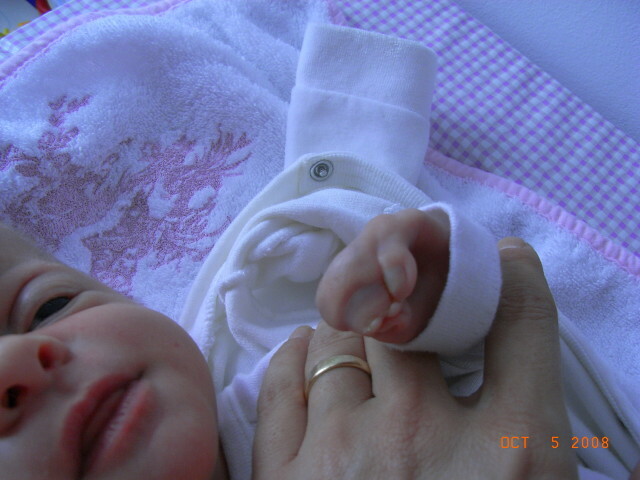 The hands are another story: her little hands are like two spoons with all the fingers joined together. Nobody promises us five fingers, at the most three and possibly a loss of some of them. Dr. Bañuelos from “Gregorio Marañón Hospital” takes the risk and says that she will try the procedure. I think professionals like her shouldn’t ever retire. She got it! And then she retires. Nowadays we can’t say she has lovely hands, but at least they are functional with the basics. The doctors/social services could be much better with physiotherapy (if one can afford it), but we can’t have it all, can we? The next operation is the occipital forward move with distractors: we call them little antennas. Everyday we have to turn them a bit, like winding a clock, in order to separate her craneal sutures. 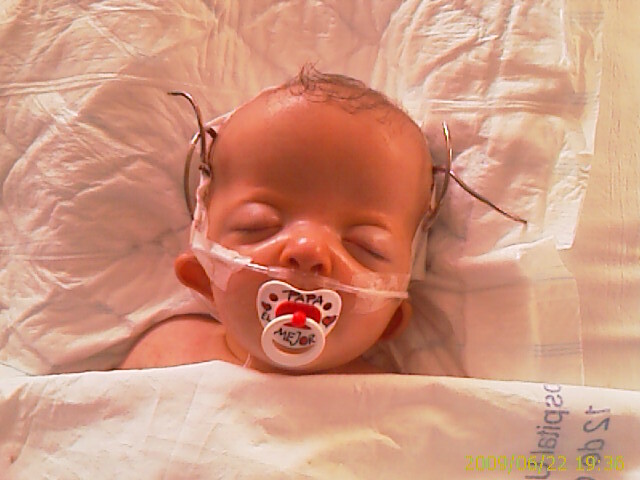 It was very hard, but everything went well and my little Daniela already has a normal forehead and her brain can grow. There are more surgeries (followed by others) but the next decisive one is the fronto orbital move forward, also with little antennas. In the beginning, everything goes well, but after a month a lump of puss appears. I quickly go to “12 de Octubre Hospital”. I’m told that there is an infection in the plaques put in the forehead and the following day she goes into surgery. The area is cleaned but she still has a fever, distractors are removed but she still has a fever, lumbar drain is performed and thousands of additional infections appear… so doctors decide to take Daniela’s skull away. Again I want to wake up. My little girl does not move anymore, she is very ill with loads of drugs, and Murphy’s law is there to make things even worse. We spend three months in the hospital, including Christmas holidays. Daniela was scared of the Three Magic Kings and clowns, but she loved the gifts from the hospital (thanks to Cáritas and Menudos Corazones) and from us. For Christmas Eve dinner, we order food from Burger King and we eat all together. New Year’s Eve was not exactly very exciting. 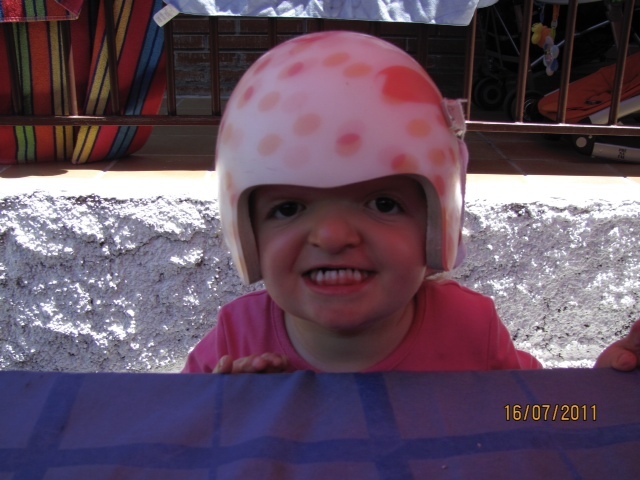 Daniela has to wear a helmet (pink of course) day and night for two years. I am fired from work. Her language retardation,and attention deficit appear… but my girl always smiles. She loves children and adores babies and buggies, I don’t know exactly in which order. She lives away of all the problems and is happy, although sometimes she asks why her feet and hands are not like the rest of children’s. Her new brother is born and she’s passionate about him. Her favourite hobby is to wake him up and play. They are inseparable mates. 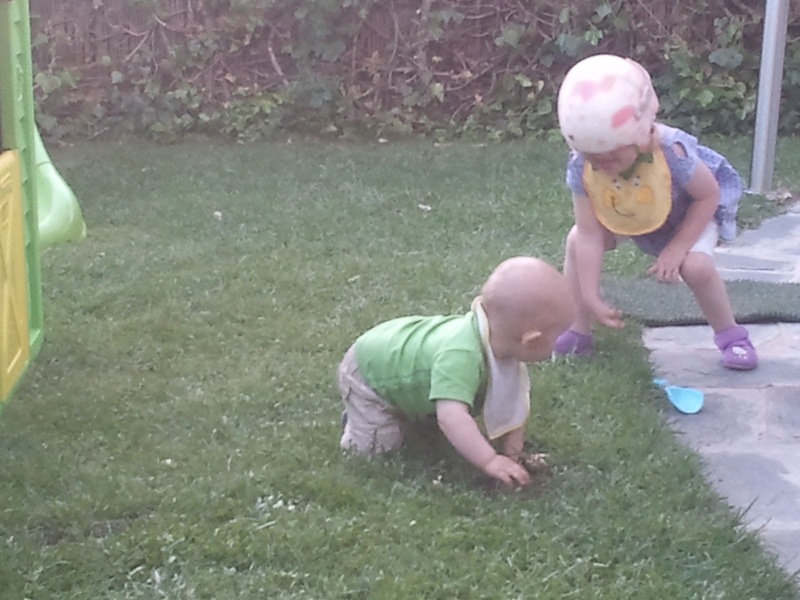 She helps him with everything he can’t do like plug something in, sit on a chair, push the buggy, drive motorbikes, or look for candy… All the good and less good things that she can do! With Mauro, my eldest son and her big brother, have a fairytale relationship. She lets her protector prince rally around her. Mauro is so nice to her, and she lets herself be loved as the good girl she is. We moved to Algete looking for an special school and it was an incredible change in her life. Everybody knows her and greets her and she smiles and hides. Her mates at school love her and that makes her even happier because she adores children and needs other people around her. I’m afraid I will need to put a GPS on her once she reaches adolescence because she always wants to go out. Thanks to our new home and enviroment, her mobility is improving very fast and other things that were just unthinkable for all of us, like jumping (her big toe is bent up and we were told that she didn’t have the impulse needed to jump). The Doctor examinates her feet, support, way of walking and x-rays I take with me and he tells us that the operation is possible. My girl gets excited, because having her toes separated is the most important thing for her at the moment (she came out vain!) and she asks me when she will be able to use flip-flops, as she wants them full of glitter. 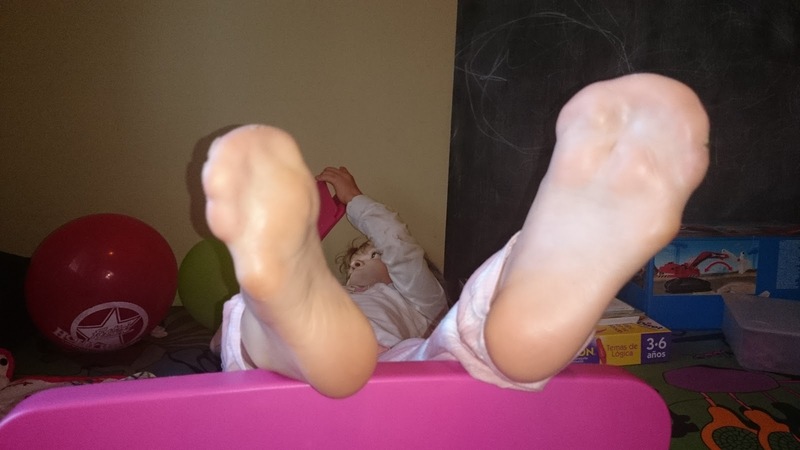 This is the reason why we wanted to launch this web, and at least try to raise the money for my daughter’s foot surgery.